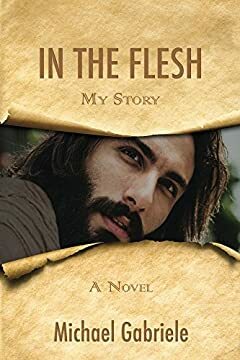 Experience Jesus' life through HIS eyes in this compelling, first-person novel that holds true to the Gospels, all from our Hero's own perspective. Prepare to walk in the sandals of a life you never completely contemplated. Dare to endure a sacrifice you never ventured to appreciate. Savor a love you will never fully fathom. Relive the greatest story ever told through the eyes of the one who cured the incurable and walked on water ... who challenged both religious and political establishments ... who suffered all the brutality of a Roman crucifixion ... and who victoriously abandoned his tomb. Let Jesus lead you through a riveting adventure that deeply explores his personal thoughts, joys, fears, frustrations, even his most profound prayers as he walked this earth in the flesh - fully divine and fully human, on a mission to save mankind. IN THE FLESH - MY STORY transcends the conventional to uncover a raw, unrestrained, fast-moving exclusive - the most influential figure in human history personally telling his side of the story.